You’ve heard of a smartphone, but have you heard of a smart home? Thanks to recent advances in technology, there are many ways you can use smart outdoor living to extend technology beyond your pocket and into your backyard. There are dozens of outdoor smart home ideas that will allow you to take in the outdoors while still enjoying the comforts afforded by the latest tech. Here’s a detailed look at energy-efficient developments in WiFi outdoor lighting, smart gardening tools and other areas of smart outdoor technology. Get equipment that is waterproof. Anything you put outside should be able to withstand the elements. This includes your outdoor speakers and gadgets. Make sure it’s easy to get power to your new setup. Electricity is easy enough to connect to your smart outdoor technology, but getting gas to your smart grill could be more complicated. You should also determine whether your WiFi outdoor lighting is within range of your home’s WiFi. Ensure compatibility with your home automation system. Competing home automation systems can create confusion. 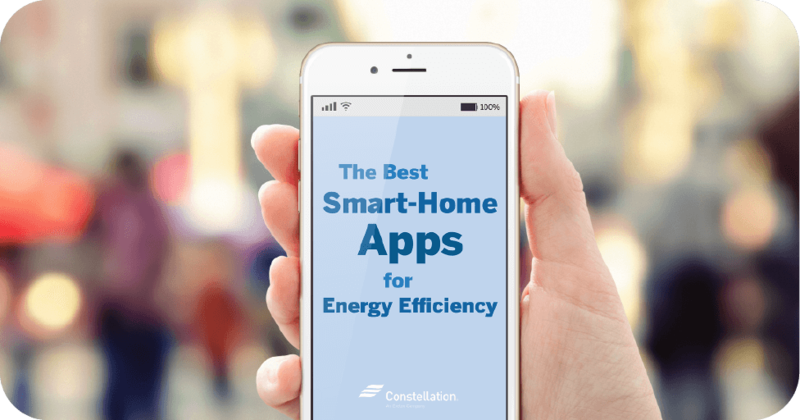 To make your smart outdoor home ideas as integrated as possible, ensure that they are compatible with any existing elements of your connected home—smart indoor lighting, for example, or your smart home hub, like Constellation Connect. Smart porch lights: Motion-operated outdoor automatic lights can either spook would-be burglars or provide some welcome illumination for guests. You could even use WiFi outdoor lighting to turn the porch lights on before you get home. Holiday lights: Did you forget to turn off your holiday lights…again? Outdoor automatic lights come in all colors. If you set up an automated system, you can make your decorative lighting turn on and off with a timer. Entertaining lights: Set the mood while you and your guests are enjoying your backyard oasis! You can control outdoor lights with iPhone assistance. Add in some energy-efficient dimmer light bulbs to make your lighting eco-friendly and versatile. Automated solar lighting: Energy efficiency is an important part of smart outdoor living. Installing solar powered lights outside can reduce the cost of energy used outside your home. And what’s better than solar outdoor lighting? Solar WiFi outdoor lighting you can control with your phone! Pro Tip: Looking to make your outdoor lighting more environmentally friendly? Learn more about solar lighting for outdoors. With smart outdoor technology, you can master the power of the sun. From automatic window shutters to retractable awnings, there are several ways to use modern technology to increase your outdoor comfort. Smart outdoor windows and shutters: Virtually every part of your home can be automated—including your windows. Bring a little bit of the outdoors in without even having to get up by simply pressing a button to operate your automatic window shutters. Automated window screens: On the other hand, if too much of the outdoors is getting into your home, there’s an automated solution for that too. With smart outdoor technology, you can bring your window screens down instead of closing your automatic window shutters—that way, you can let in the light while keeping out the wildlife. Automatable awnings: Awnings aren’t just for sidewalk businesses anymore. One fun outdoor smart home idea is to install a retractable awning that can transform your backyard patio into a cool, sophisticated outdoor eating experience. Pro Tip: Read about the benefits of energy-efficient windows to help reduce your energy bill. Smart outdoor technology isn’t meant only for style and comfort. You can also use technology to keep your family aware of who goes in and out of your home, even when you’re not there. Smart floodlights: Floodlights are great for pouring a lot of light into a space very quickly, and can be easily automated to turn on when it gets dark, at a certain time, or at the touch of a button. This can help you finish an outdoor project that extends into the evening or deter trespassers from coming onto your property if paired with a motion sensor. Whatever you use your floodlights for, using WiFi outdoor lighting can help. Security cameras: The mere presence of a camera is often enough to deter trespassers, but smart security cameras can also give you live video of outdoor disturbances. Pro Tip: Keep an eye on your home with the suggestions outlined in this article about home automation security. If you’ve ever thought, “There must be some information on how to control my pool pump remotely,” then check out these smart outdoor technology ideas and automated pool & hot tub features. Automated pool/hot tub temperature control: Waiting for the hot tub to heat up can try your patience. Setting up an automated outdoor system will allow you to get your hot tub to the desired temperature from anywhere—for example, you can tell it to heat up while you’re at work, and it’ll be ready to go by the time you get home. Pool pump control: Are you frustrated by your pool’s circulation system? With an automated system, you can operate your pool pump anywhere with the touch of a screen. No more wishing to know how to control your pool pump remotely: an automated system can really save the day! If you’re going to spend a lot of time outdoors, you’ll probably eat some meals out there! When it comes to smart outdoor technology, you can’t go wrong with the most energy-efficient grill and some fancy gadgets. Smart cooking thermometer: A smart thermometer allows you to remotely monitor the temperature of what you’re cooking. It’ll even sound an alarm once your main course reaches the desired temperature! Grillbots: Cleaning the grill is no one’s favorite chore. Now there are small machines that can do this dirty job for you. Smart propane detectors: Nothing can ruin a barbecue faster than running out of propane. A smart propane detector will let you know when you’re running low, buying you time to get a new tank. The ultimate expression of smart outdoor living is to turn your backyard into another living room. These automated outdoor entertainment systems can help you bring together the best of the indoors and outdoors. If you’re wondering how to control outdoor speakers, look no further. Home theater projectors: Putting a projector outside is a great way to enjoy your favorite movies and shows while taking advantage of the lovely weather. A home theater projector of at least 2,000 lumens will really pop on an outdoor screen. Smart speakers: Adding Bluetooth or wireless WiFi speakers to your outdoor space can help create a zone of relaxation or set the mood for an outdoor soiree. And with smart outdoor technology, learning how to control outdoor speakers is as easy as opening an app. Pro Tip: Indoor and outdoor fireplaces can go a long way toward creating a pleasant atmosphere. 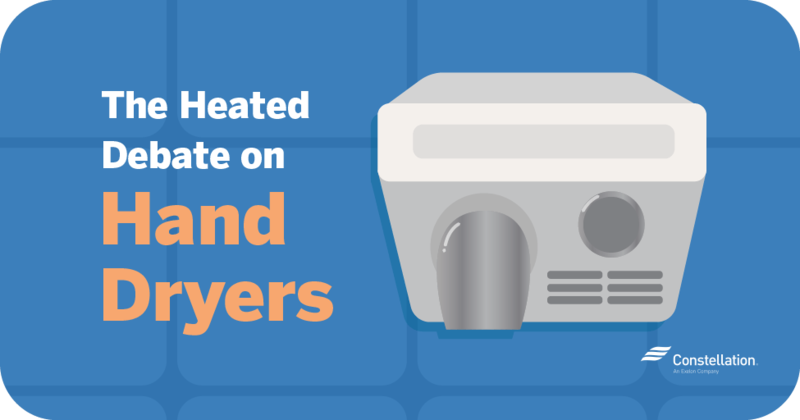 Check out the link to learn about the most efficient fireplaces. When you become a homeowner, you resign yourself to never-ending yard care. However, smart outdoor living offers solutions to this as well. Here are a few smart gardening tools that can help shoulder some of the burden of yard care and offer some energy-efficient landscaping. Smart irrigation: Watering the plants manually can take hours of your time. Setting up a smart irrigation system will help keep your plants healthy all year long—even when you’re out of town. Robot lawn mower: If you’re tired of mowing the lawn, why not let a robot take over? Automated mowers can keep your lawn at the desired length without any effort on your part, allowing you more time to enjoy your beautiful yard. Now that’s a smart gardening tool. Pro Tip: Natural shade can make your backyard beautiful and comfortable. Check out this article to learn more about shade landscaping. To get the most enjoyment out of your outdoor spaces, it helps to keep track of the weather. Installing a WiFi weather station is an outdoor smart home idea that will make backyard living more enjoyable, and prevent you from getting caught in undesirable weather. Smart outdoor thermometer: An outdoor thermometer is valuable for a number of reasons. For instance, knowing the temperature outside can help you decide how warmly to dress or when to turn off the air-conditioning and let the cool night air into your home, which can in turn help you conserve energy. 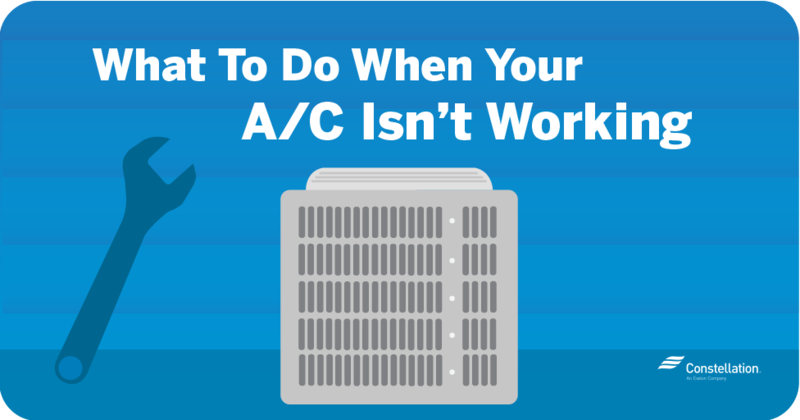 Using natural cool air when possible and knowing what to set your thermostat to in the summer can go a long way toward cutting energy costs. Smart weather station: A sophisticated weather station can give you valuable information about the weather, including the barometric pressure, wind speed and humidity. And keeping an eye on the forecast will help you determine whether to keep or cancel outdoor party plans. You work hard, and you deserve some time to relax in an automated outdoor oasis. Installing WiFi outdoor lighting, purchasing smart gardening tools and implementing other outdoor smart home ideas can help you enjoy your home’s outdoor spaces like never before. It has never been easier to bring your automated home system outside, creating one cohesive system that can augment almost every aspect of your life—even the simple pleasure of enjoying the breeze on your backyard patio. I’ve been wanting to look into some home automation options for my family and I, and I think that being able to get an app would be perfect! I’m glad that you talked about how having this ability to control your home from anywhere can save you money, which sounds like a great help! I’m going to have to see what home automation options are available for me, and hopefully get some good money saving technology to help me! Hi Helen, We’re so happy to hear that. 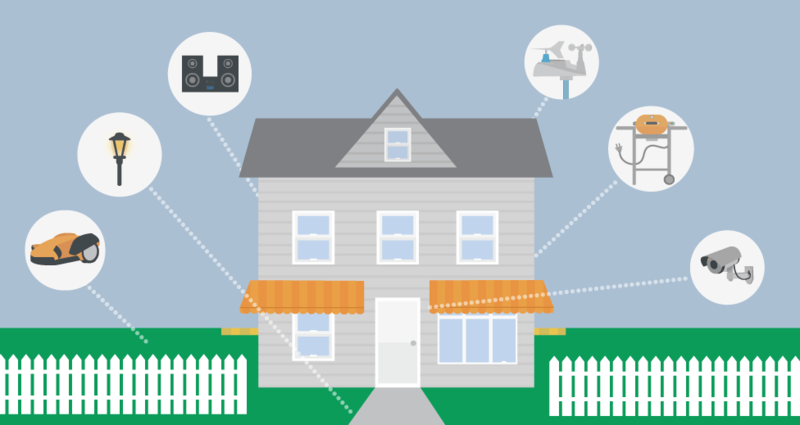 Using outdoor automation can certainly help you reduce energy use, which can save money!